Good morning to you! I am asked to review books quite frequently and I want to start sharing ones that I find useful, whether given to review or ones I buy or check out at the library myself. It’s all a part of my creative library and maybe something you might want to add to yours. 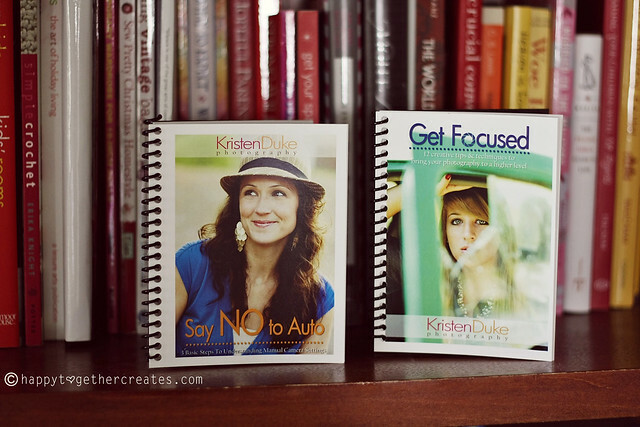 I am starting the day with sharing two great little photography books that I was able to get my hands on c/o Kristen Duke Photography. They are Say No to Auto and Get Focused. I was most excited about Get Focused because I had some “focus” questions that I couldn’t find the answers too. And guess what? All of my questions are answered now! Whoo-hoo! Everything is outlined so well with lots of pictures for a clear understanding. I also read through her Say No to Auto book and it was really great. And again, I like how clear everything is with great pictures. I had already learned most of this stuff but picked up some new tricks and ways to do things. I highly recommend this for anyone who has a dslr and wants to make the switch to manual. It’s so much easier when everything is right there in front of you. Seriously. Especially when you’re super busy (like this momma) and don’t have a lot of time to scour the internet for info. See the picture below? 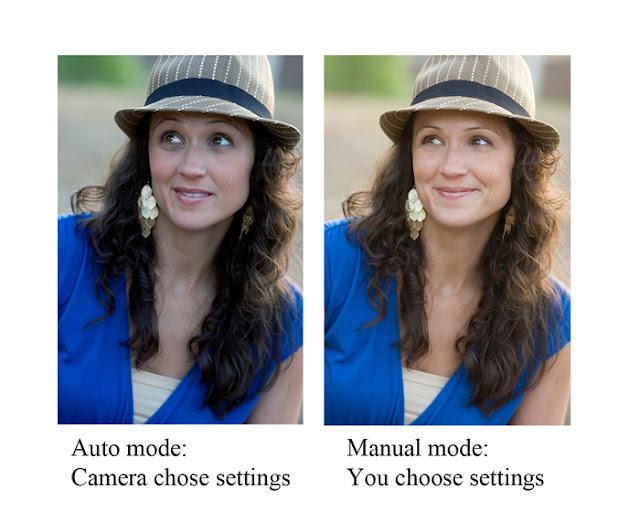 Seriously, you can get it from that to that right within your camera by using manual mode! It’s worth the time saved from having to edit. Her two books are available here as ebooks or as a hard copy like the ones I have. I prefer the hard copy books, as I can tuck them into my camera bag, but the ebook is less expensive. And I must also say that Kristen is also quite the crafty lady herself! She shares lots of this and photog stuff on her blog. Isn’t her mantel so happy and cute??? It makes me miss our mantel that we had in our Florida home. 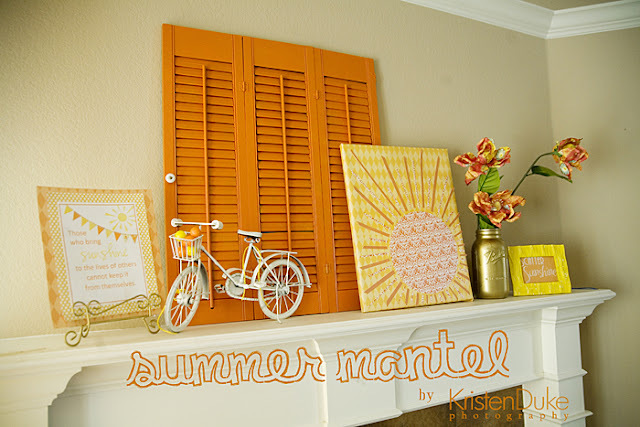 i have some old shutters just like that! just spray-painted one of them a minty-antiquey-green! Nice share. The “say no to auto” book sounds like a really great starter book for those of us that are thinking about making the switch to more manual photography. It’s a little intimidating so a simple friendly guide sounds perfect!